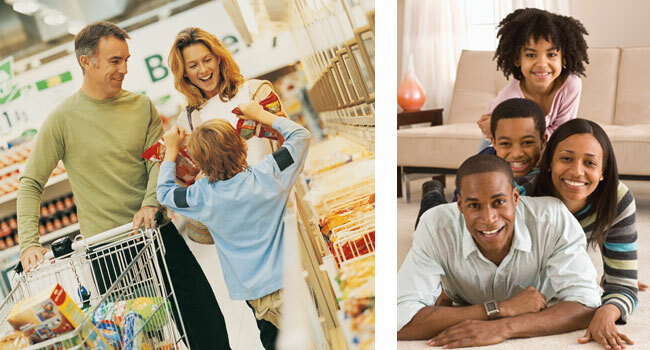 Many families have their own routines on weeknights. Kids may tackle their homework before dinner, and once everyone's plate is clean, family members may spend time together or go their separate ways, spending time online with friends or watching their favorite television programs on the couch. Parents who feel their weeknights don't include enough family time are often on the hunt for more family-friendly activities the whole family can enjoy even if everyone has to go to work or school the next day. The following are a handful of family-friendly weeknight activities that can bring families closer together. • Movie night: Family movie night is a tradition for many families, and parents who want to spend more time together as families may find that movie night is a great way to share a few laughs or even facilitate discussions about important topics broached in certain films. Each week let a different family member pick that week's movie and ask him or her to explain his or her choice and why they think it's a film the whole family will enjoy. Let the kids join you as you get the popcorn ready or make special treats to enjoy while the movie is playing. • Family walk: Walking is a great way for parents to instill a love of physical activity in their children, and nightly walks also make great opportunities for families to leave their devices behind and discuss the goings-on in their lives. Weather permitting, take a family walk after dinner each night, which can help make your family healthier and strengthen the bonds between family members. • Writing activities: Another way families can escape their devices and resist the temptation of social media on weeknights is to get together for weekly writing sessions. Ask each family member to create brief lists on a range of topics, whether it's a list of favorite books or countries each person wants to visit or a bucket list of things each family member wants to do at one point in their lives. Allow about 15 minutes for each person to write his or her lists, and then discuss each person's list, including the inspiration behind each item that made it onto the lists. • Game night: Classic board games or games like checkers might not be as popular today as they were prior to the advent of the Internet, but that does not mean a night centered around such games does not still make for a very family-friendly evening. Stock up on some classic board games and share the responsibility of choosing which game to play each week. 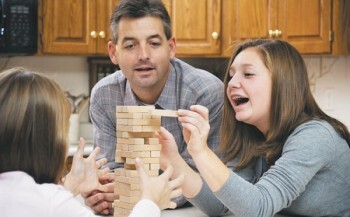 Board games can take up to a few hours to play, and that's a great opportunity for families to share some laughs without being interrupted by their devices. • Crafts night: Arts and crafts night is another great way for families to spend time together. Parents can choose age-appropriate projects that can help kids and adults alike tap into their creative sides. Solicit ideas when planning crafts night so everyone feels like they played their part. Nights together as a family do not need to be limited to weekends. Parents willing to get a little creative can enjoy family-friendly evenings no matter what day it happens to be.